We’ve collated some of Anglesey’s most loved local delicacies, from Welsh Cakes, to Halen Môn sea salt there’s something that all palettes can appreciate. Whether you’re looking to taste your way around the island or perhaps collect a selection of local specialities to make a hamper for loved ones at home, there’s something for everyone in our Part 1 round-up. Disclosure: This blog may cause serious stomach rumbles. This dish is a true Anglesey classic. Made out of eggs, potatoes, leeks, breadcrumbs, cheese and nutmeg, this tasty treat makes for the perfect Anglesey influenced dinner time treat. Want to make this dish yourself? The nation’s favourite duo of bakers The Hairy Bikers have an Anglesey eggs and bacon recipe on the BBC food website. Why not pop on your chef’s hat and apron and prepare something unique for dinner? We’re sure your loved ones will appreciate it! A classic all over Wales, Welsh Cakes are also a culinary highlight of Anglesey. This fruity flat bread dates back to the 19th century, and they’re cooked on a griddle like a pancake as opposed to being baked in an oven. They can be served both hot and cold, and if you’re feeling indulgent you can also top them with jam or butter. Made from flour, sugar, spices, butter, lard, baking powder, currants, eggs and milk, you’ll love this Welsh cake – and it makes for a wonderful snack after a day of fun at Silver Bay! To find a local eatery that sells Welsh cakes on Anglesey, take a look here. Did you know we have our very own vineyard on Anglesey? And it’s home to some amazing wines that any wine lover is sure to adore. Anglesey is actually the perfect climate for grape growing, and Wales Online reported that it’s actually proving more fruitful than Bordeaux, France. Known as the Ty Croes, the Anglesey vineyard stretches across two and a half acres of Anglesey land, and can be found on the southern part of the island. Starting back in 2003, the vineyard offers tours as well as tasting experiences. To find out more about this lovely attraction and their wines, take a look at their website. 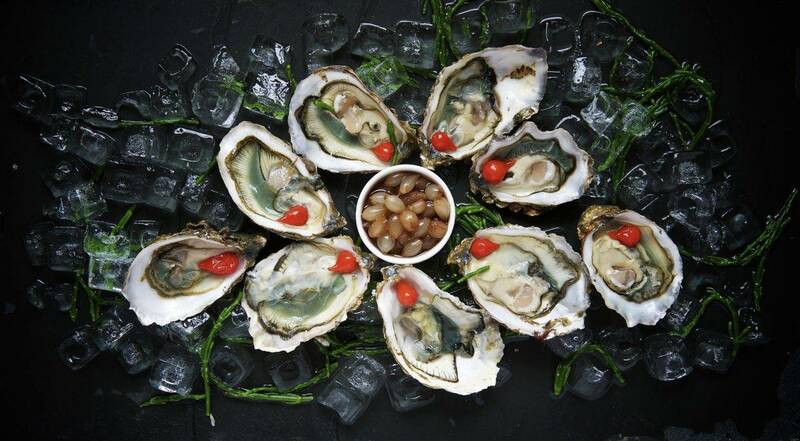 When you’re an island, you benefit from tasty seafood – and nowhere is this more obvious than with our beautiful Anglesey oysters. You can indulge in these fishy treats on a wide range of places across the island. The Menai Oysters and Mussels Ltd are a popular place with locals and tourists and have their very own shop – and we also serve them in our recently refurbished Deck House. Other restaurants on the island that serve up this Anglesey classic are Dylan’s, The Oyster Catcher, The Lobster Pot and many more. You’ll be spoilt for choice when it comes to enjoying this dish so be sure to indulge wherever you are! The sea doesn’t only provide us with fresh seafood here on Anglesey, it also gives us some wonderful salt, too. This is cultivated by none other than the Halen Mon Sea Salt company – a favourite with locals and tourists alike. As a family company, there’s an extra level of dedication and care that other salt suppliers simply cannot provide – and it makes for the perfect seasoning option for any dish you’re preparing. You can visit their online shop to buy some salt or another tasty treat with their ingredients incorporated such as salted chocolate and sea-salted Welsh fudge. Salt is such a versatile ingredient, and Halen Mon are certainly making the most of it! What’s another great accompaniment alongside salt? Well, that’d be vinegar, of course! So in the name of keeping these two ingredients together, we thought we’d discuss Anglesey’s vinegar offering. Vinegar on the island is sold by Amanda Janes of Anglesey, and the owner of which began by experimenting with turning wine into vinegar whilst working on a vineyard. Now, Amanda buys the vinegar bases and adds her own unique flavours. She sells 12 stunning vinegar offerings, all flavoured in different ways. Fancy some Raspberry vinegar? Or how about some Minted Cider Vinegar? See the full list here and see if anything takes your fancy! We can’t take credit for the creation of marshmallows here on Anglesey, but we do have our very own confectionary company specialising in this squishy treat! Bonny Confectionery are experts at creating amazing gourmet marshmallows – and they’re gluten-free too! There are all sorts of items for sale in their online shop including Marshmallow boxes and Marshmallow Melts specifically designed for hot chocolate. Explore everything they have on offer here. Anglesey really is an experience for all the senses and it’s hard to find a better place for food lovers. Due to its fertile land, the island makes the most of its climate and luscious environment, such as offering the freshest of fish straight from the sea, seasoned with delicious Halen Môn sea salt extracted from the crystal clear waters of the Menai Strait. Like this? Then why not explore part one and part two of our Anglesey’s best restaurants blog? 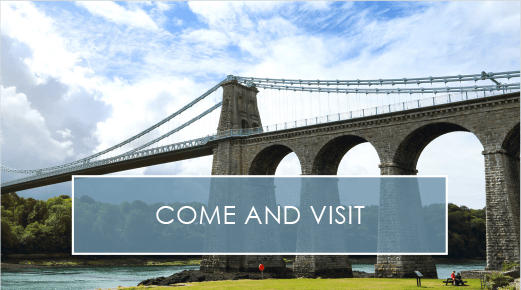 If you’d love a holiday home on our beautiful Anglesey island, then be sure to get in touch with us here at Silver Bay. 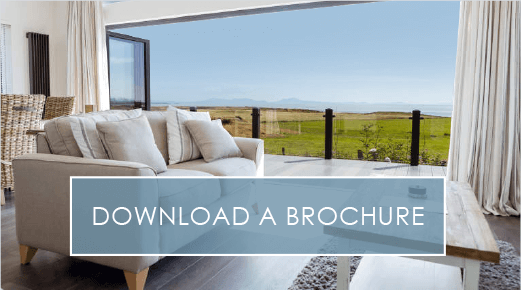 We have amazing holiday properties, and you can explore them in more details in our free eBrochure. Any questions or queries? 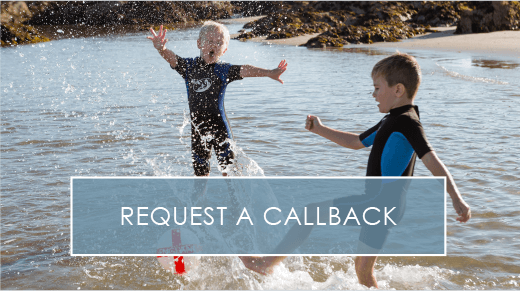 Give our helpful team a call on 01407 860 111 to find out more. previousIt's Time To Meet Silver Bay's Charity Stars!